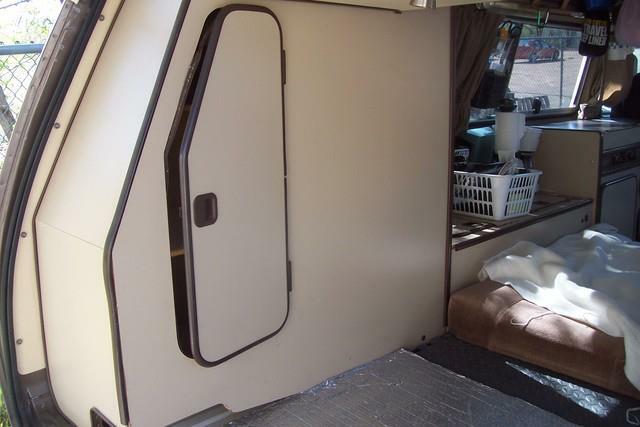 The VW Vanagon- mods and info | It's not a slow car, it's a fast house! She did not have a name yet, but was proudly wearing the BB’s Project VW sign. The FANTASTIC van at her own parade! The Westie still has a pop top and she is soaking up the sun! 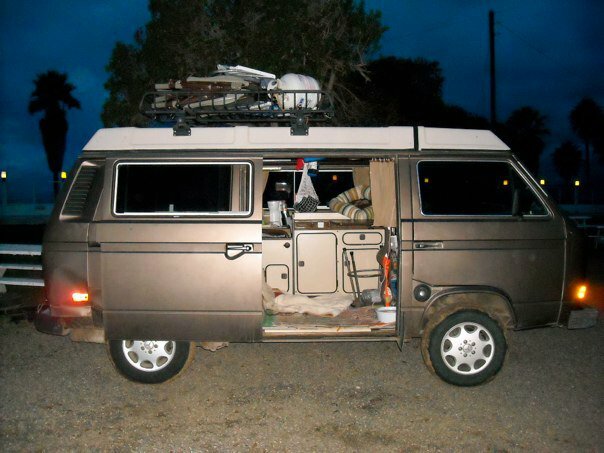 Alta began her life as a Volkswagen Vanagon Westfalia. When we found her she was sitting alone in a yard in Sierra Vista, Arizona. 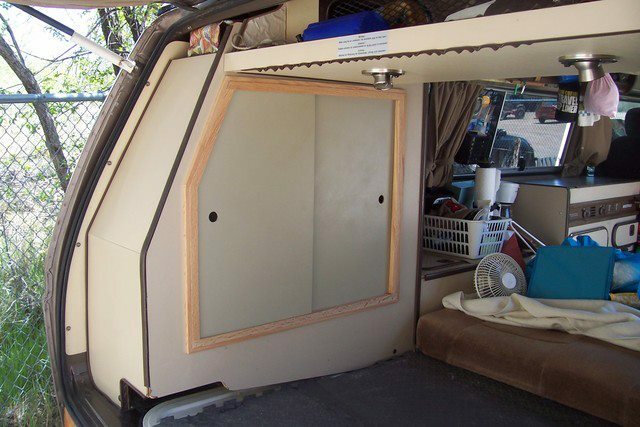 Her people had “upgraded” to a Tab Trailer! 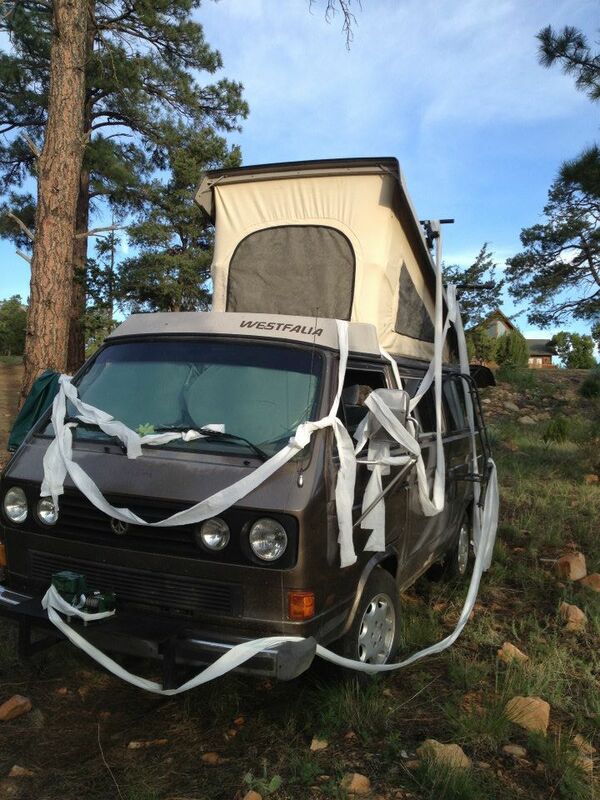 We promised her a life filled with fun and adventure, and hooked her up to haul her away! The adventure began within a few miles, as she lost a wheel (the guy never tightened the lug nuts after fixing a flat)at a busy intersection. Before she was insured, she had damaged another car, and was sitting on the roadside on her wheel drum. We knew that from that moment on, things would always be interesting with Alta! The Westie (not yet named, and recently adopted) featured a “trusty” 1.9L VW engine. Since we knew little about the history, we ran the hell out of it! The first road trip was with Mom (Peggy Brimhall) to Chinle and back to Prescott. 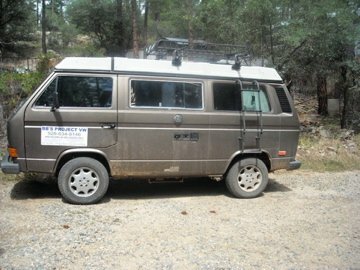 There were many camping trips along the Mogollon Rim and an uneventful elk hunting trip to Unit 6A (Stoneman Lake area). Each ride was slow and steady, with increased grinding of gears and burning of oil. We knew things would have to change. The Westie was now hiding a Ford motor under the rear deck lid. And since we had it all torn apart, we tossed in a new transmission. She also got new wheels (Mercedes of course) and new tires (oversized) and a bunch of front end and rear end and wheel drum and brake line and fuel tank and a whole lot of other general rebuilds and upgrades. Gradually (as we could afford it) she was becoming FANTASTIC!! The first trip with the new engine was a big one. 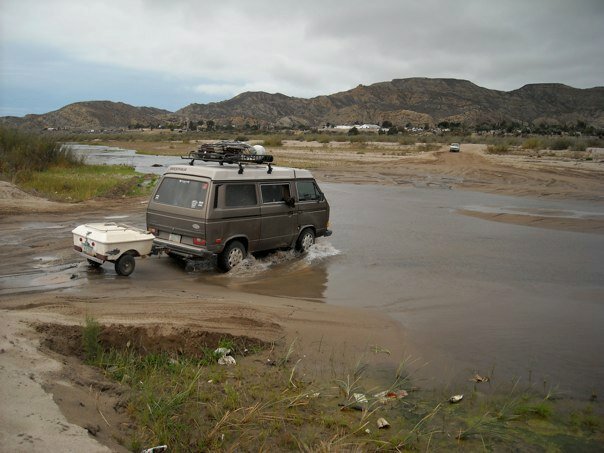 We took a two week trip down Baja California, Mexico. The Westie did great! 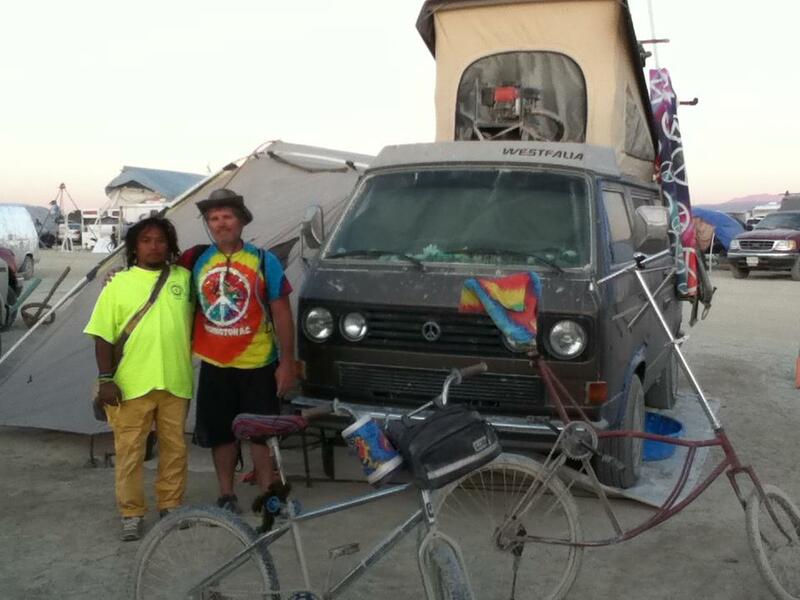 After that adventure the Westie went to Burning Man! 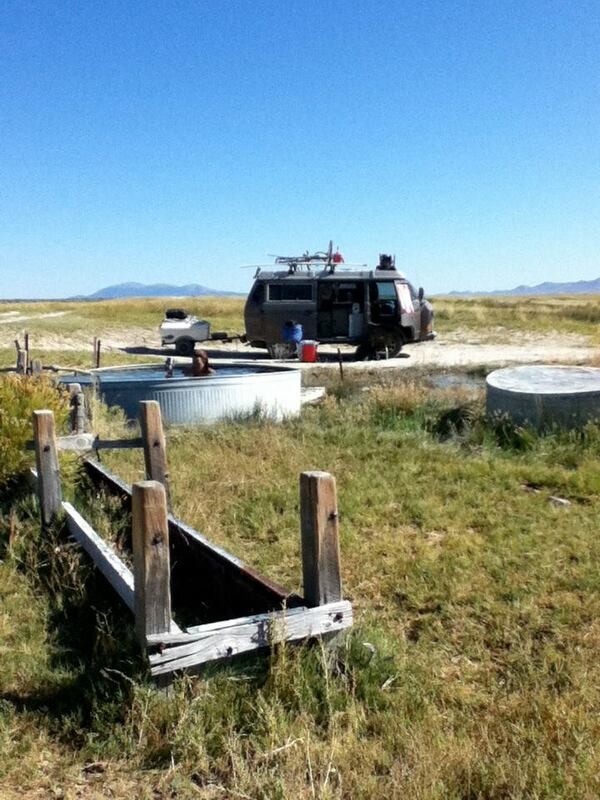 Of course, after Burning Man, you must soak long and slow in a hot spring somewhere in the middle of Nevada! One thing we learned was that the closet becomes an important storage zone. She we researched a closet mod that would make it more accessible. There would be many more modifications for this Westie, but this one has proven quite useful. 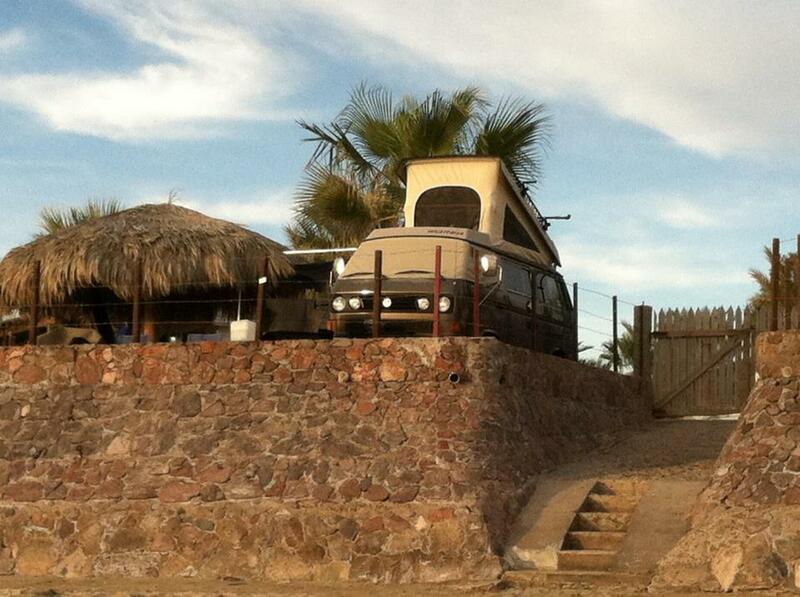 The Westie also enjoyed a trip to Bahia Kino, Sonora, Mexico for some find Christmas weather. And one of her final trips as a Westie (pop top version) was to Slab City. An interesting piece of Americana in the California desert. 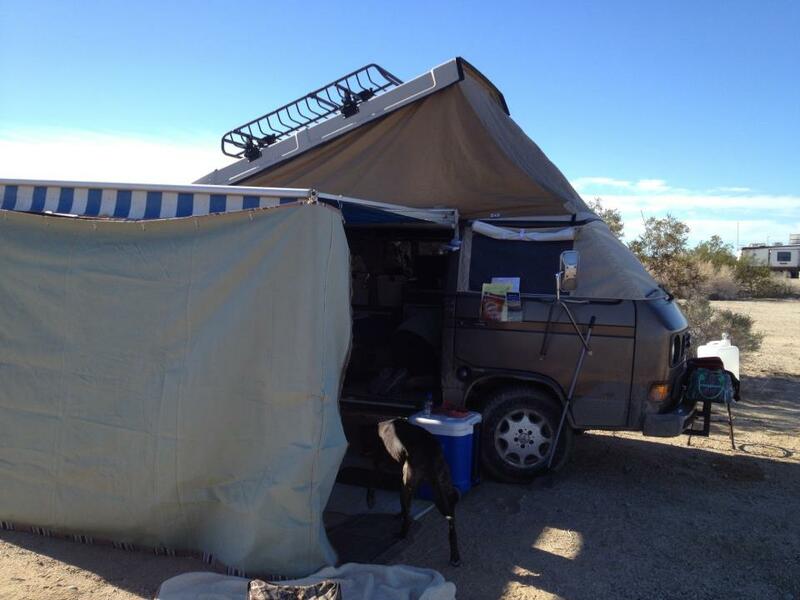 But changes were coming for this 1985 Volkswagen Vanagon Westfalia. She had been rescued from her life in a field, and traipsed across several states and borders. Her insides were tickled and massaged and loved and abused. But the next change would really make a difference!